The monastery with the tigers is near the Bridge over the River Kwai. The documentary offers some amazing close ups of tigers. And, yes, I would like to pet a tiger. The gif is funnier than the video. Not sure what I like best about this: the cat is named Dagwood, the cat is a good ping pong player, the idea that our cat Kofi ought to play ping pong, etc. I'd like to know the backstory. 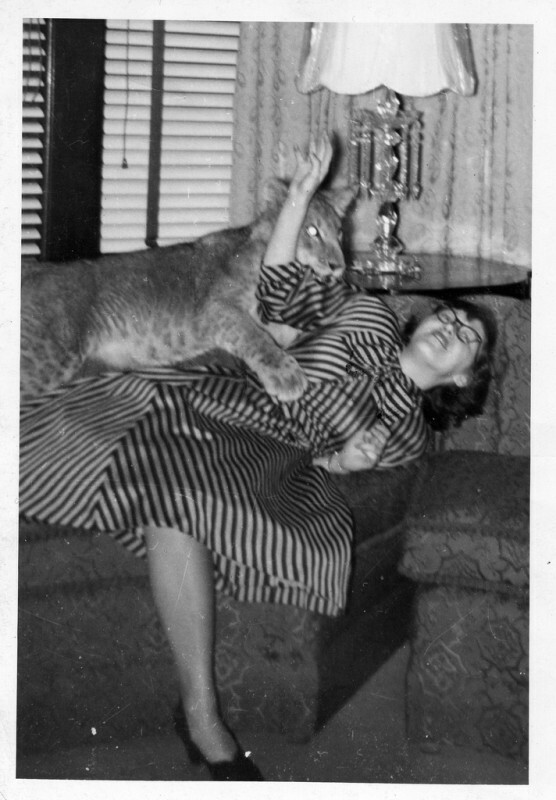 Is the woman used to being attacked by huge cats or is this her first time? Did she ever come back? Is it her cat? Found in Albert EYE's wonderful Flickr photostream. I wouldn't want you to miss out on any cute animal videos. Ever. Hey, it's cute and educational. Bonus! My cats have had interesting personalities. The current Siamese is highly, and annoyingly, vocal. But, I have never heard quite these sounds before! Some days you just need a hug! 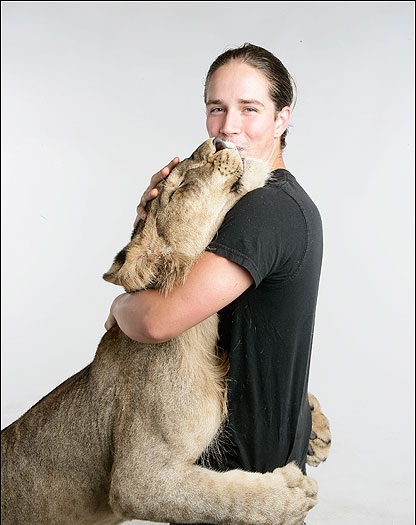 Photo from Big Cat Studio by Barry Bland.